What makes Paraiba Tourmaline so popular? In 1987 five years of excavations were crowned with success, Heitor Dimas Barbosa stayed with a handful of tourmalines in incredible turquoise color. They were called ‘Paraiba’ in honor of the Brazilian state where they were first discovered. In two years there was a long-expected event in the exhibition of gemstones in Tucson, USA: the new incredible gem – Paraiba was presented for visitors. 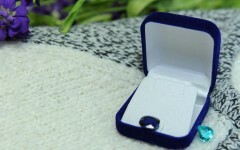 After the presentation of this miraculous stone its cost rocketed from several hundred dollars to several thousands. The history of gemstones hadn’t witnessed another case of such rapid growth in cost and popularity. Almost at once gem hunters flooded into the mine, and within a short period of time they almost completely razed the Paraiba hill – 65 meters high, 400 meters long and 200 meters wide – to the ground. Earlier this stone with neon color was supposed to be one of a kind and was mined only in Brazil. However, in 2001 similar stones were mined in Nigeria. 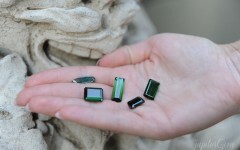 Seemingly they are very similar to Brazil ones, but these tourmalines have more subdued tone of color. Another finding was mined in 2003 in north-east of Mozambique, in Muiane. That is why disputes arose and lasted for a long time: which stones may be called real Paraiba. Today the gemological centers accepted that Paraiba tourmalines may have any geographical origin, the most important is copper content that is responsible for such extraordinary vivid sky-blue color often called ‘electric-blue’. For some gemological laboratories the shaping factor is the presence of blue hue in the stone. Brazil tourmalines became the real brand and today they occur in very rare cases and generally in small size to two carats, they present the collector value and often cost 5-10 times more than Mozambique ones. 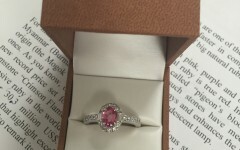 For this reason it is critically important to specify the stone’s mine in order to buy the needed tourmaline. It is necessary to take into account that some blue colored tourmalines, for example, mined in Afghanistan or Pakistan will not contain copper and therefore not belong to ‘Paraiba’ type. The best specimens of Paraiba tourmaline have vivid pure blue color, and neon glimpses dazzle inside the stone, even if there is no light around. That is why such stone is appropriate for the countries with little sunshine the year around. This tourmaline may also have blue-green, greenish-blue, green and violet colors. The last two ones will be reduced in their cost. The majority of Paraiba tourmalines has a lot of fissures and it reduces its cost. The prices for specimens without fissures are extremely high and may be compared to the prices for diamonds. Besides, these stones and also Brazil ones may be exposed to heat for improving the color and removing undesirable hues. About this fact a buyer may learn from the expert report for the stone from independent gemological laboratory. 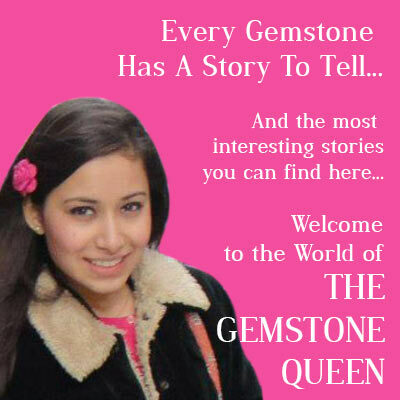 Most respected ones are considered to be GIA, Gubelin Gem Lab, SSEF, AGL и GRS. Nowadays Paraiba is fashionable and highly evaluated by many famous jewelry houses and it is also especially popular in Japan and the USA. This stone sets all records in price increase due to constant talks about petering deposits. Many dealers remember the following example: the largest Paraiba weighed 65 carats was sold in America in 1989 for a preposterous sum of 2000 dollars per carat. The same stone has been resold recently and the price has already soared by 12.5 times to 25000 per carat.